Hip resurfacing is a newer procedure that is more technically demanding than total hip replacement. Because the femoral head is left in place during a resurfacing, the exposure during the operation is more difficult. Also, the placement of the implants is critical for range of motion, function, and longevity. As such, it is imperative that hip resurfacing be performed by a surgeon with additional training and experience. To this end, I have traveled around the world to gain as much experience as possible. 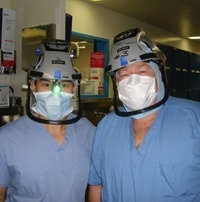 I spent additional time learning techniques from some of the recognized masters of hip resurfacing. In particular, I spent time with Drs. Harlan Amstutz and Thomas Schmalzried at the Joint Replacement Institute in Los Angeles, Dr. Thomas Gross in Columbia, SC, Dr. Koen DeSmet in Ghent, Belgium, and Mr. Derek McMinn in Birmingham, UK. I still keep in regular contact with these and other hip resurfacing surgeons around the world, in order to stay current with new research findings and to share my own experiences. 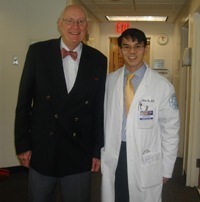 I participate in national and international conferences to continue to learn and educate others about hip resurfacing. 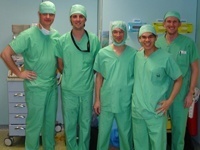 I am proud to say that I am now host to many surgeons who visit me to learn my technique of hip resurfacing. 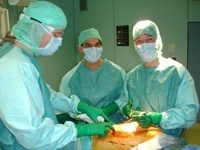 In addition, I have been asked to perform live surgical demonstrations of hip resurfacing for the 10th annual BHR meeting in Miami, FL 2007, for the Niarchos International Hip Conference at HSS 2007, and for the Current Concepts in Joint Replacement in Las Vegas, NV 2008.